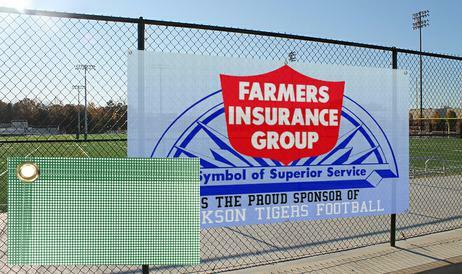 Mesh banners are printed on 8 or 12 oz. heavy-duty banner material. They are suitable for large outdoor advertisements where wind load is an issue. Use on fences at construction sites, on buildings and in back of large stage backdrops.